Insure on time lease payments with this Month to Month Lease Agreement Template. 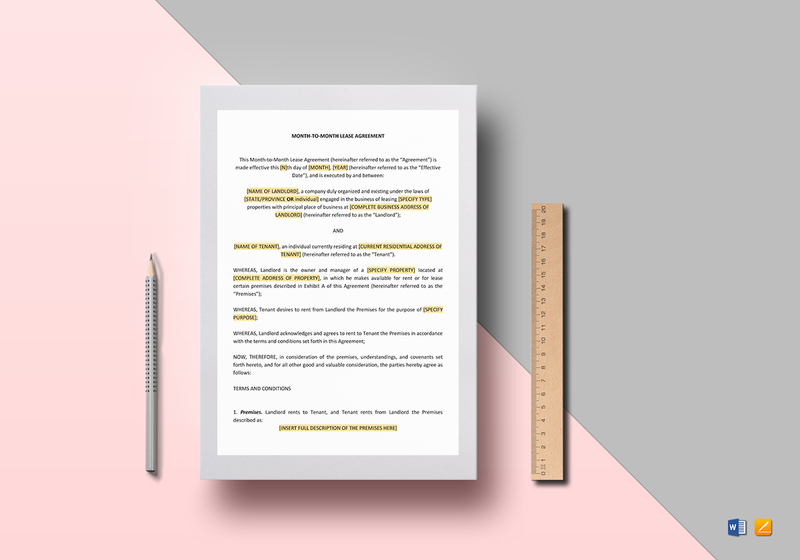 This 8-page, easy to edit agreement comes complete with standard business fonts in A4 and US letter sizes. 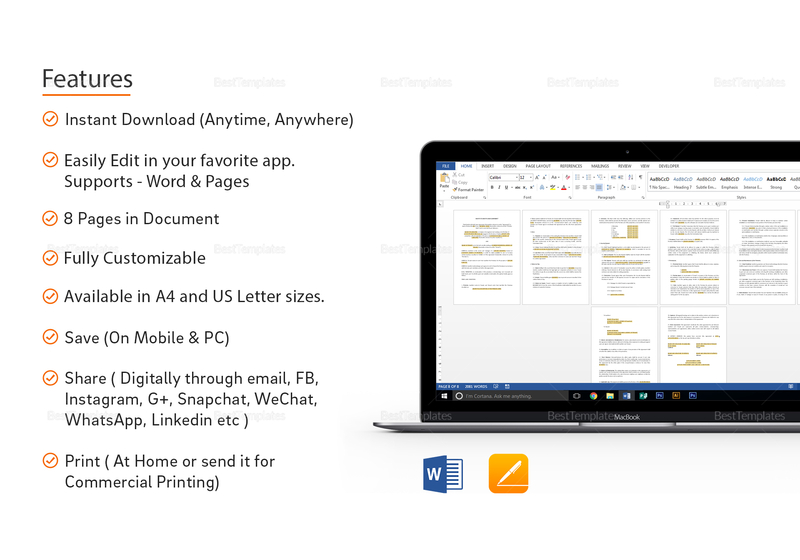 Open and edit with your chosen software application that supports MS Word and Pages file formats. 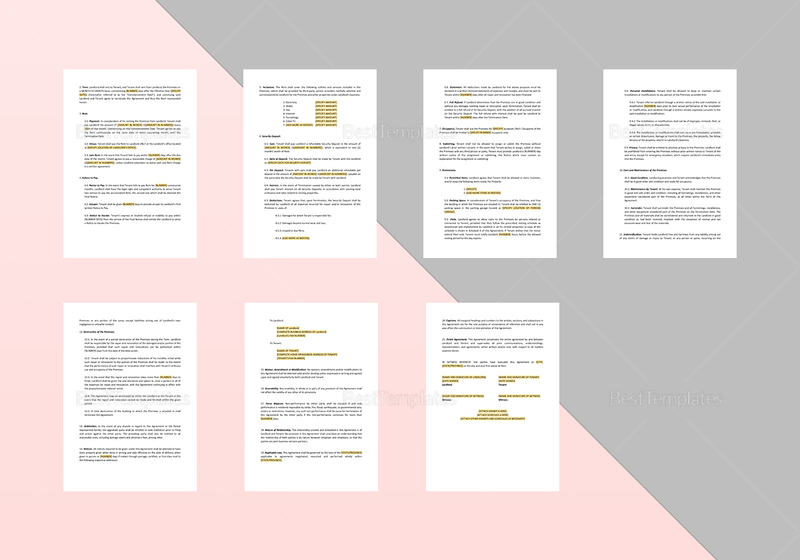 Simply replace the yellow highllighted parts with your information and your work is done.